The veterinarians and staff at the Duluth Animal Hospital are pleased to provide you with an online newsletter. 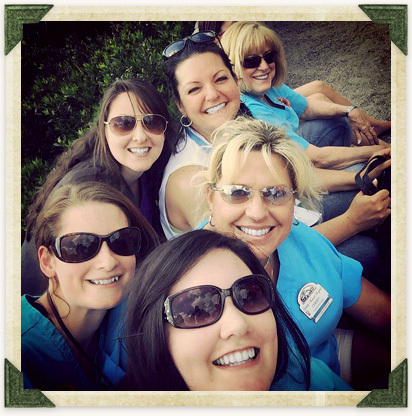 This fun and fact-filled newsletter is updated on a regular basis. Included in the newsletter are articles pertaining to pet care, information on Duluth Animal Hospital, as well as news on the latest trends and discoveries in veterinary medicine. The summer is a great time to get outside and enjoy the warm weather, but you may want to leave Kitty indoors while you frolic in the sun. While it's easy for you to keep cool when temperatures rise, cats have a much more difficult time when it comes to beating the heat. 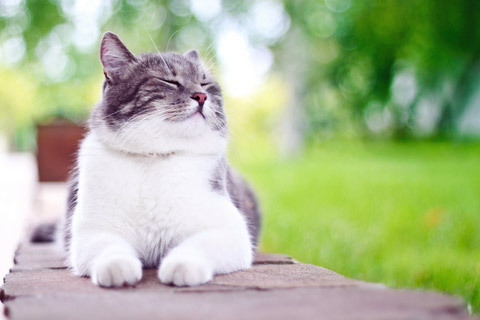 Here are some tips to keep your feline family members nice and cool in the summer. Cats generally handle warmer temperatures better than dogs, but owners should remain vigilant about Kitty during the summer months. The easiest way to keep your cat cool in the summer is to keep him or her indoors during the hottest parts of the day. If you do let your cat venture outside, do so early in the morning or at dusk when the temperature is cooler and there is more shade from the sun. While your cat is inside, keep plenty of fresh, cool water available throughout the house. If the weather is extremely hot, consider wrapping your cat in a cool, damp towel or placing a plastic bag full of ice under their bed. When the weather is extremely hot and humid, cats can be prone to heat stroke. Very old cats, as well as obese cats and those with existing health problems are especially susceptible to heath stroke. Owners should also be aware of signs of heat exhaustion and heat stroke. A cat's normal body temperature should be between 100.5 degrees F and 101.5 degrees F. Any temperature higher than 102 degrees F is dangerous, and immediate action should be taken to lower the cat's temperature. If a cat's temperature increases to 107 degrees F, he or she is possibly suffering the effects of heat stroke. 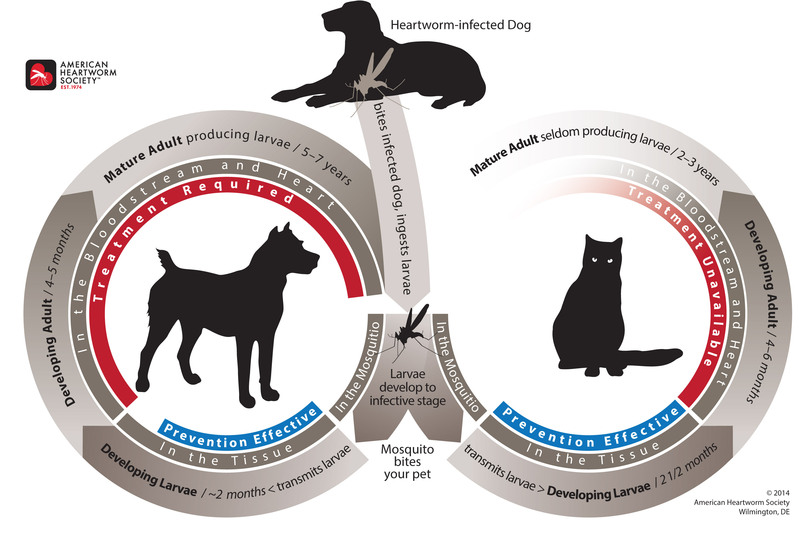 If your cat begins exhibiting any of these symptoms, call your veterinarian immediately. To cool your cat down, remove him or her from the area and apply towels soaked in cool water to your cat's skin. Immersion in a cool water bath for 30 minutes may also help lower your cat's temperature. While on the way to the veterinarian's office, place ice packs around your cat's head and body. No matter how you cool your cat off, you must bring him or her to a veterinarian as intravenous fluids may be required. Heat stroke can be fatal if left untreated. Even though Kitty is covered in a fine coat of fur, she is just as susceptible to sunburn as you. Cats with white coats or white ears and faces are particularly prone to feeling the effects of the sun's rays. And while sunburn is discomforting for your cat in the short term, it can also have long term effects. Extended exposure to direct sunlight can lead to squamous cell carcinoma, a form of cancer that usually appears at the tips of the ears and on the nose. Signs of squamous cell carcinoma include sores that bleed excessively or do not heal. The best way to protect your cat is to keep him or her out of direct sunlight in the summer time. If your cat is going outdoors, you can protect his or her skin with an application of sunscreen; however, be sure only to use a sunscreen formulated for cats. Sunscreen not designed for cats can result in drooling, lethargy, diarrhea and excessive thirst. Ask your veterinarian about sunscreens that are right for your cat. Your cat may also face other, non-weather-related problems in the summertime. Cats outdoors for a roam may be tempted to take a taste of antifreeze puddles they find in streets and driveways. Antifreeze is extremely toxic to pets—it only takes one to two teaspoons of antifreeze to poison a cat. Symptoms include vomiting, excessive thirst/urination, depression and a wobbly gait. 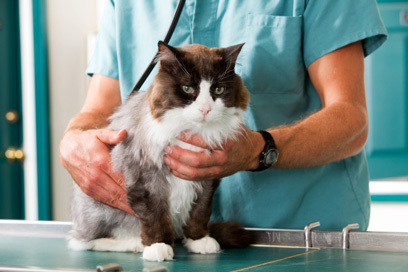 If you suspect your cat has ingested antifreeze, get him or her to a veterinarian immediately. Owners should also make sure there are no open, unscreened windows in their homes. 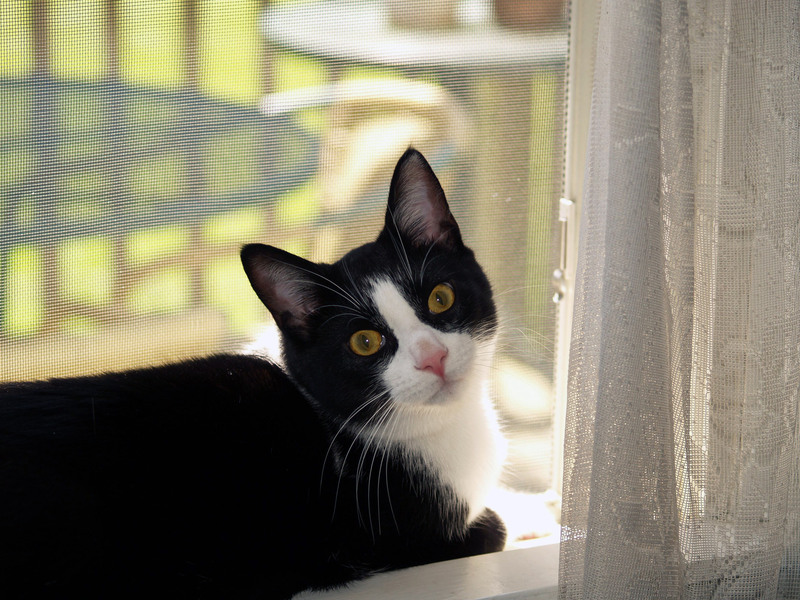 Adventurous cats may jump or accidentally fall out of open windows, leading to broken bones and other injuries. 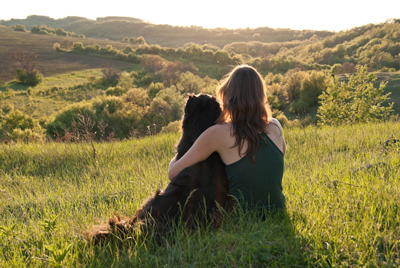 Summer can be a carefree, easy time for you and your pet, so long as you both play it safe and keep cool. Ask your veterinarian if you have any questions about beating the heat this summer. 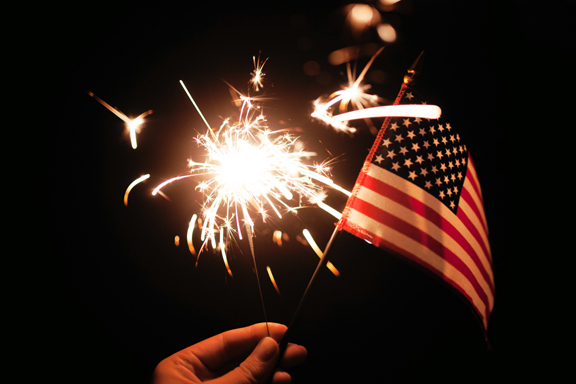 Fireworks and the Fourth of July go together like ... well, fireworks and the Fourth of July. While you may already have safeguards in place for people and children, there are additional things to consider for pet owners. Here are a few tips on helping your pets remain safe and happy while dealing with fireworks. Always keep fireworks out of reach of your pet- While this may seem obvious for lit fireworks, it’s important to keep unlit fireworks away from your pets as well. Ingesting fireworks could be lethal for your pet. If your pet does get into your fireworks, contact your veterinarian right away. Be aware of projectiles- Roman candles, for example, have projectile capabilities. If used incorrectly, an ejected shell can hit a pet, causing burning. If your pet gets burned, contact your veterinarian right away. Keep your pet on a leash or in a carrier- Never let your pets run free in an area where fireworks are going off. Know what do to in case of a seizure- For some animals, being in the presence of fireworks can trigger a seizure. If your pet is prone to seizures, he or she should never be around fireworks – but most pet owners won’t know if their dog is prone to seizures until he or she experiences one. If this happens, stay calm and remove any objects in the area that might hurt your pet. 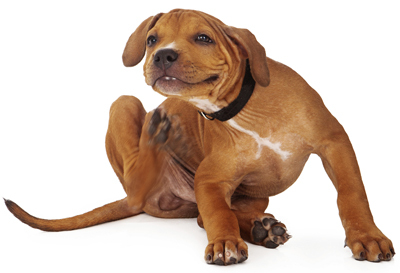 Do not attempt to move your pet, as they may bite without knowing it. When the seizure is over, move him or her into an area clear of the firework’s sights and sounds. Call your veterinarian right away. Ease your pet’s fear- Many pets are frightened of fireworks, and may exhibit fear by whimpering, crying or otherwise displaying uneasiness. Create a safe space for these animals before the event. During the fireworks, use the radio, television, fan or air conditioner to create white noise that will drown out the sound of the fireworks. If you thought it would be harmless to mix pets and fireworks, think again. All fireworks should be kept at a safe distance from curious and unsuspecting pets. Anything from small smoke bombs and sparklers to large aerial displays has the potential to cause severe burns. The face, mouth and paws are the most common places pets get burned by fireworks. Furthermore, fireworks can also contain heavy metals that are used as coloring agents and may cause poisoning if ingested. Symptoms of heavy metal/fireworks poisoning include vomiting, lethargy, diarrhea, jaundice, tremors and seizures. If your pet may have ingested fireworks, immediate examination by a veterinarian is recommended. Do not induce vomiting at home as it can cause severe burns, especially in the mouth and upper gastrointestinal tract. 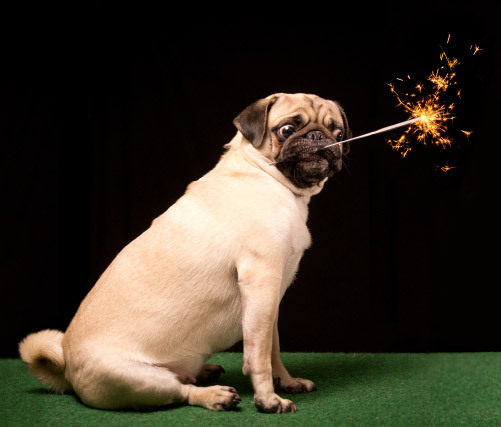 While the prognosis is good in many cases involving the ingestion of small fireworks and minor burns, that is often not the case when the pet has ingested several fireworks. This is due to liver and nerve damage. As you enjoy your holiday, remember to use common sense, and always put safety first for all family members. People usually prepare themselves for the dangers of increased temperatures. But as the dog days of summer approach, our trusted companions also need special attention to insure that they don’t get burned. Like for us, the summer months bring an increased danger of heat exhaustion and heat stroke for dogs. People naturally regulate their body temperature by sweating. Dogs mainly cool themselves by panting or breathing in through the nose and out through the mouth. The process of panting directs air over the mucous membranes (moist surface) of the tongue, throat and trachea (windpipe). The air that is flowing over these organs causes evaporation, thus cooling the animal. Another mechanisms that helps remove heat includes dilation of blood vessels in the skin of the face, ears and feet. Dilated blood vessels located on the surface of the body cause the blood to loose heat to the outside air. A dog’s normal body temperature is 100.5 to 102.5 degrees Fahrenheit. Like people, dogs can become overheated. If it rises to 105 or 106 degrees, the dog is at risk for developing heat exhaustion. If the body temperature rises to 107 degrees, the dog has entered the danger zone of heat stroke. With heat stroke, damage to the body can be irreversible. Organs begin to shut down, and veterinary care is immediately needed. Fortunately, if owners recognize heat exhaustion, they can prevent the dog from entering heat stroke. People can easily recognize when the heat gets to them because they become lightheaded and fail to sweat. For dogs, early signs of heat exhaustion may include failure to salivate and a dry mouth. Heat exhaustion may also include a dog lying down and looking tired, losing its appetite and becoming unresponsive to owners. If heat exhaustion progresses into heat stroke, the dog becomes very warm to touch and may have seizures. Internal mechanisms roll into effect that may cause blood clotting and organ damage. If you are near a phone and think that heat stroke is a possibility, call your veterinarian immediately. If a veterinarian is not within reach, or while waiting for a veterinarian, get the dog out of the sun and cool him or her down with cool water baths (cool—not cold). Provide a fan, especially if you wet the dog down, and encourage him or her to drink water. 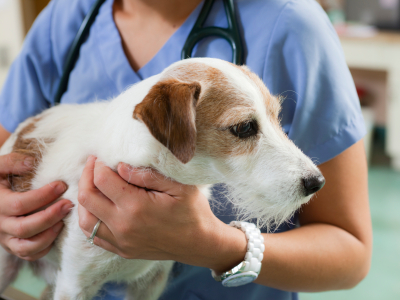 While these steps may help a dog, the best treatment is prevention. In order to prevent overheating, some owners may shave their dogs or trim their fur excessively. This isn’t always a good idea. The hair coat may appear to be a burden for a dog; however, it can also keep the animal comfortable by trapping cool air next to the skin, reducing the amount of heat transferred from the hot outside air to the body of the dog. Dogs with long or thick coats that have problems with matted hair are often good candidates for clipping. Matted hair can cause skin irritation and is undesirable. Owners that do not have time to adequately remove mats and debris from their dog’s coat may prefer to have the coat clipped short. After a short clipping, and if the dog is outdoors, owners need to be careful of sunburn. Sunscreen may be applied to the dog’s skin; however, it is necessary to consult a veterinarian to find out which ones are safe. Keep dogs indoors in air conditioning on very hot days. Do not leave dogs in a car during the summer. Even with the windows down, temperatures inside a car can quickly rise to above 120 degrees. Make sure outdoor dogs have plenty of shade. On very hot days, exercise dogs early in the morning or late in the evening. If this is not possible, exercise in an air conditioned environment. 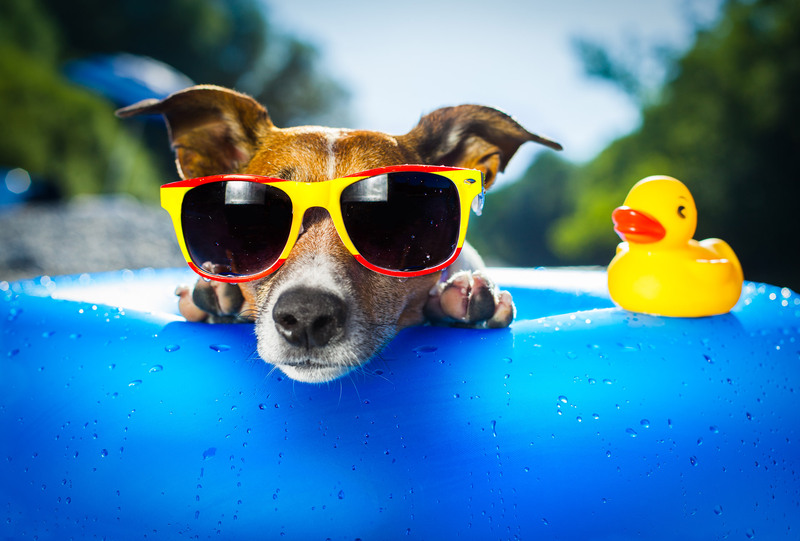 Provide your dog with a sprinkler or wading pool on very warm days. If you take the dog to a lake, make sure it has plenty of time to drink and get wet. Most dogs can drink lake water without adverse effects. If your dog has a light coat or exposed skin, take precautions against sunburn. Dogs can acclimate to warm temperatures and have no trouble staying outdoors in the heat. However, dogs that are used to cool climates or air conditioning should not be left outside on hot days. Acclimating your dog gradually is the key. 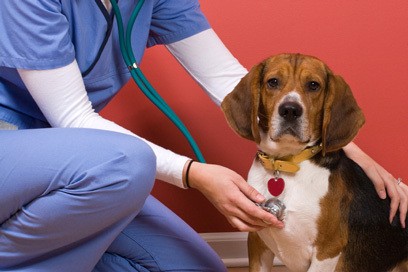 If you have questions about caring for your dog during the summer months, please give your veterinarian a call.